The SEEMLA project, funded by Horizon 2020, has implemented a sustainable land-use strategy for sustainable production of plant-based energy on marginal lands. The so called ‘SEEMLA approach’ developed an integrated set of processes, analyses and tools that incorporates environmental, ecological, social, economic and biophysical criteria, whose objective is the re-conversion of degraded and MagL for the production of bioenergy through the direct involvement of farmers and foresters, the strengthening of local small-scale supply chain and the support of the EC Roadmap commitments to a Resource Efficient Europe. 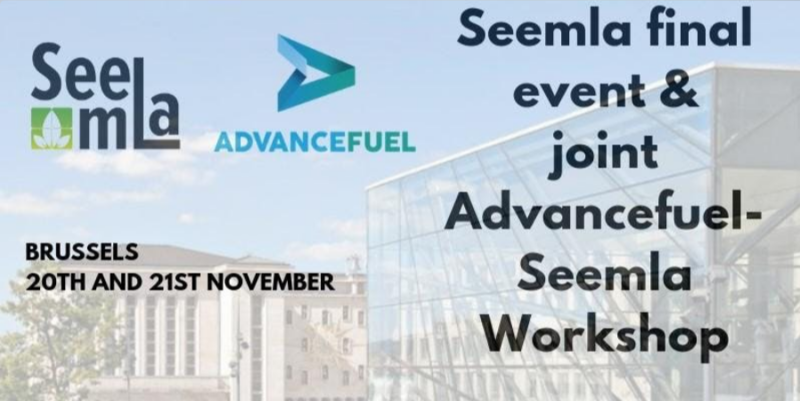 ADVANCEFUEL is a Horizon 2020 project, which aims to increase the share of renewable energy in the future energy mix by increasing the share of sustainable advanced biofuels and renewable alternative fuels in the final EU transport energy consumption. The whole value chain will be assessed in the course of the project and ADVANCEFUEL will regularly engage key players to validate project results on specific topics and to contribute to the development of supporting guidelines and tools. The event is organised with the co-operation of a number of other EU projects: working in the fields of innovative cropping schemes on marginal land (FORBIO, MAGIC, BECOOL, LIBBIO) as well as value chains and business models (UP-RUNNING, GRACE).